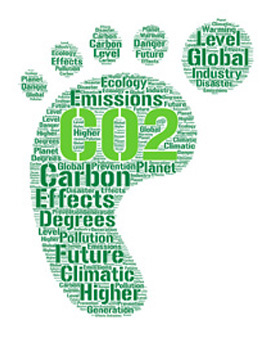 …okay, so strictly speaking what we mean by ‘low-carb’ is actually ‘low carbon’, and in particular redoubling our efforts to permanently lower our carbon footprint across all areas of our business. 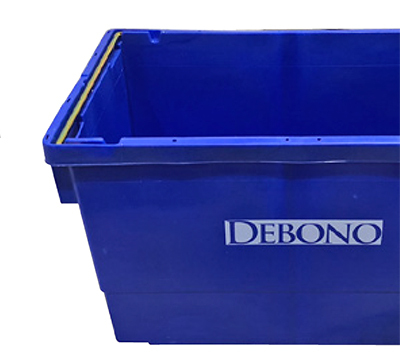 Debono of course, like many other responsible businesses, already subscribes to the Reduce, Reuse and Recycle mantra for all our packaging materials… but we couldn’t just leave it at that. Yes, we know it has that dreaded word ‘plastic’ in the title (more about that in a minute), but we feel the more important word here is ‘Reusable’. Our overriding objective being to reduce the amount of packaging we use. Period. One way to help achieve this reduction is to replace our current system of second-use cardboard delivery cartons in favour of reusable plastic crates. This makes sense in the long term because it means customers no longer have to handle and recycle large quantities of cardboard. By making the switch to plastic crates, the energy and materials that would have been used to recycle the cardboard, will be saved. Secondary benefits mean you no longer have to pay for your waste cardboard to be collected and recycled; you’ll spend less time handling it; freeing up storage space and removing what may have been a potential fire hazard. Which is all good as far as we are concerned. Our second target for improvement is to reduce both plastic and paper usage throughout our day-to-day operations. • Plastic tubs (typically 500g) for the smaller packs. 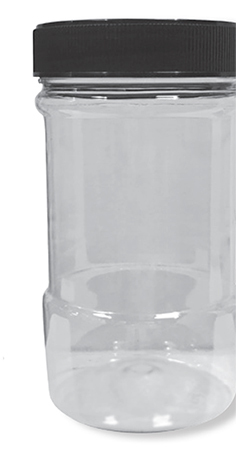 In order to reduce the quantity of overall plastic we use as a business, we are moving to a single size plastic bag for all herbs and spices packaging. 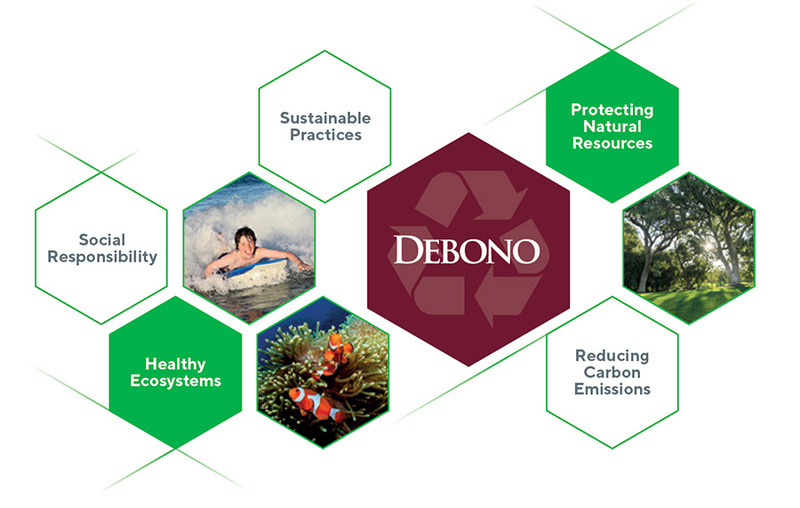 Whilst this means we still use plastic, the net result will be a significant reduction in plastic across the Debono range. Tubs will still be available for customers who prefer this type of storage, but our message to customers will be to encourage being more mindful in the use (and reuse) of plastic generally. Deliveries will continue as before into your kitchen or safe area as required. The introduction of new delivery crates will simply mean that these will be unpacked by our drivers and then removed as part of our delivery service. We’ll keep track of the empty crates and when they reach the end of their useful lifespan, hopefully in many years time, they will be recycled into new ones. By doing it this way, we remove the likelihood of them ending up in rivers and oceans or anywhere else they shouldn’t be. So why should we care about plastic? Until scientists come up with a suitable alternative, there is a lot to be said for the benefits of this product in the kitchen. It’s easy to clean, resilient and lasts a long time. The tricky bit is what happens at the end of the item’s life — and this is where careful recycling becomes critical. If a league table of environmental ills existed (you may be surprised to learn) that plastic would not be at the top. We all agree that plastic waste is an eyesore, yet it accounts for just 10% of the 3.6m tonnes of solid waste discarded each day the world over. The Lancet Commission put the total number of pollution related deaths worldwide at 9m, but plastic was mentioned only once in its 45 pages. Plastic is more unsightly than dangerous and as polymers are chemically inert, presents little in the way of a health risk. Nobody wants vast rubbish patches fed by circulating ocean currents, for example the north Pacific, but with limited resources where should priorities lie? A report from Standard & Poor’s has estimated that marine litter costs $13bn annually, mainly through its adverse effect on fisheries, tourism and biodiversity. The overall cost of plastic pollution worldwide, socially and environmentally is calculated at £100bn. Contrast that with figures from the UN which says the cost of overfishing and fertiliser run-off amount to some £37bn and £150-595bn a year, respectively. By 2100 ocean acidification, caused by high atmospheric CO2 levels dissolving into water would cost £890bn a year. Have we understood the alternatives correctly? As plastic is so light, replacing it with other materials could raise environmental costs significantly. Producing one kilogramme of virgin plastic releases 2-3kg of carbon dioxide: about the same as steel. But a product made of plastic can weigh a fraction of a comparable one made from other materials. A British government analysis from 2011 calculated that a cotton ‘tote bag’ must be used 131 times before greenhouse-gas emissions required to manufacture and transport it, improve on disposable plastic bags. The carbon footprint of a paper bag that is not recycled, is four times that of a plastic bag. Using plastic is indispensable in some instances, such as surgical gloves in hospitals, and in others directly benefits: in 2015 Sainsbury’s reduced waste in a beefsteak line by more than half by using plastic vacuum packaging. Much of our campaigning and strategies makes scarcely a dent in the world’s plastic pollution problem and some has unintended consequences. Making plastics biodegradable, for instance, renders them harder to recycle and recyclers already struggle to invest in capacity or innovation even in countries that collect lots of their rubbish. How many anxious campaigners realise that most of the plastic in the ocean comes from countries in fast developing East Asia, not the West, where waste collections systems are flawed or non-existent? Ten rivers, two in Africa and the rest in Asia, discharge 90% of all plastic marine debris. The Yangtze alone carries 1.5m tonnes a year. In Europe, America and other developed places virtually all plastic waste is collected. To eliminate marine litter in particular, more rubbish needs to picked in the leaky Asian countries. Banning plastic straws is a nice gesture, but the actions Asian politicians take in the coming years will prove vastly more effective on the plastic problem. The environmental consequences of plastic are being overblown in the public imagination and should not be allowed to distract from the main thing: the effort to drive down greenhouse gases.